The Casio WK7500 is a no doubt a respectable Casio electronic keyboard, and in fact, for some people it may be, dare I say it, the perfect piano. However, there’s one catch—you’ve got to be a very specific sort of someone for this to be your perfect piano. You might be that specific sort of person and fall head over heels for this instrument, but you’ll just have to read on and find out for yourself. The Casio WK7500 is not the worst you can do when it comes to buying a new piano. That might not be the most encouraging thing I could say about an instrument, but all things considered, it’s a pretty fair assessment. Plus, have you seen the list price? With an instrument this affordable, how much encouragement do you really need? 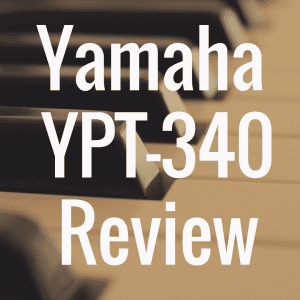 Below, please view the interactive guide created to make your piano purchase easier. 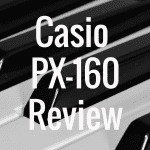 Compare the very affordable Casio WK7500 to some of the best keyboards in its class based on weight, price, and even customer reviews from Amazon. 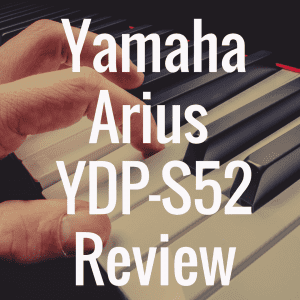 If you just can’t bear to stick with this article to the end, at least let me give you the bare essentials you need to know before you go out and spend money on this instrument. Although for the most part things look neck and neck, I would say that the pros column squeaked out a tiny victory over the cons. I want to talk about the price first because it’s hands-down the most appealing thing about the Casio WK7500. Available for just $499.99, this affordable digital piano is not going to force you to mortgage your house or go without eating for a week. I had gotten so used to dishing out thousands of dollars for a new setup that I had completely forgotten that three digit numbers were a thing when it comes to digital pianos. Judging by its more higher end competition, Casio could be charging a whole lot more than they are for the WK7500, but for whatever reason they aren’t. This is a good thing for both you and me, so let’s just keep our mouths shut and enjoy the savings. With such a low price tag like that, you might be expecting the WK7500’s features to be a little hit or miss, and in all honesty you would be right. Like any keyboard, the WK7500 has its selling points and it also has its points that Casio wants to try to finesse past unsuspecting consumers. However, by my assessment, the WK7500 hits much more than it misses—and when it does miss, it’s much more a nuisance-type thing than it is a fatal flaw. Sound—I can still think back to my days as a kid, pounding out songs I had “written” on my tiny little Casio (that thing couldn’t have been more than two feet long!) and being bombarded by the thin, shrill sounds of the keyboard. Thankfully, Casio’s technology has greatly improved since the early 90s, and the WK7500 suffers from no such problems. 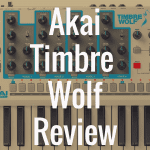 This keyboard is able to produce a wide and dynamic range of interesting timbres—from the warm, rich sounds of an organ to some delightfully cheesy retro analog sounds. Granted, you’re not going to fool anyone into thinking that you’re hiding a full string orchestra behind the keyboard amp, but this model is able to sound much more realistic than some. 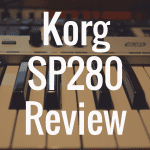 Recording—The recording features of the WK7500 are sort of a grab bag of good and bad elements. The good thing is that the instrument has recording capabilities—you can record keyboard tracks with a vocal or instrumental accompaniment (assuming you have the equipment to connect a mic) that can then be played back through the keyboard’s speakers. Unfortunately, there’s not much editing you can do to a recorded track on the keyboard itself. However, don’t forget the SD/SDHC drive! With a memory card inserted, you can transfer your recorded tracks to a computer with appropriate editing software. Accessories—Here’s where the WK7500 let me down. The keyboard itself lacks what I would consider two indispensable accessories: an AC power adaptor and a sustain pedal. Really Casio? Do I look like I am made of D batteries? The piano pedal I can at least sort of understand, but no power cord? That just boggles my mind. Drawbar Organ—Now, I’m not much of an organ man myself, but lots of people seem to get real excited at the WK7500’s drawbar capabilities. While each drawbar only has three possible level settings, it does have options for “pure” or “vintage” sine waves. I don’t want to say that the WK7500 has made the Casio WK6500 obsolete, but it does obviously offer more in terms of features. The tones have increased from 650 to 800 and the WK7500’s maximum polyphony of 64 blows the 6500’s 48 out of the water. One strange thing to note is that the WK6500 comes with a built-in metronome while the WK7500 does not—so that’s something to think about if you’re concerned about rhythmic accuracy. As other reviewers have mentioned, this is the perfect instrument for a beginning musician or someone who just wants to tinker around at home. There are plenty of features to get you started, but not so many that, as an inexperienced player, you would get overwhelmed—which is something that can’t be said for some of the higher-level models. This might not be the keyboard that you want to play for a sold-out arena show, but it definitely gets the job done in a pinch for something smaller like a bar gig or just for jamming with your friends. And if you need the manual for the Casio WK7500, you can view it here. It’s also serves as the Casio CTK7000 manual, as well. 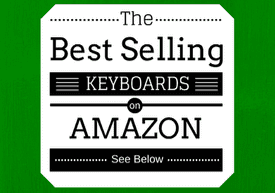 If you’re looking for more great reviews of electronic keyboards or digital pianos, be sure to bookmark our home page.